Surely we’ve all fancied a party in Ikea? 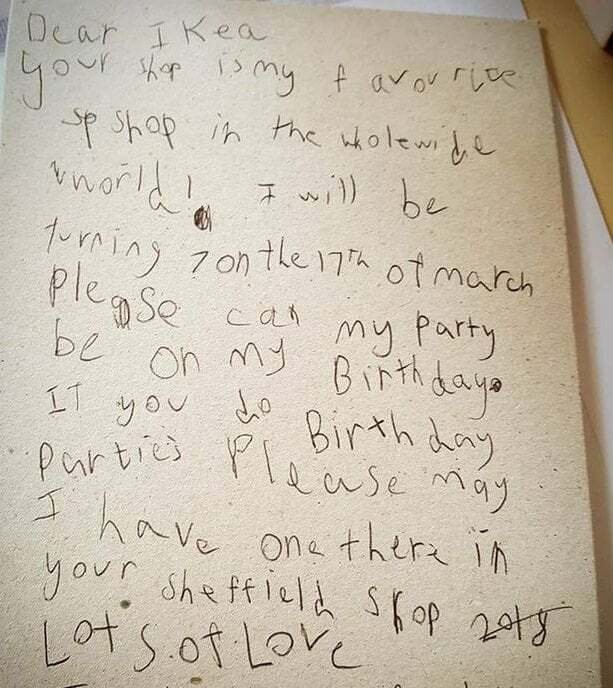 Well, one 7 year old girl got to live the dream when Ikea Sheffield granted her a one-off birthday party in the store after she wrote a (very cute) letter to them. Fascinated by the store, according to her mother, young flat-pack furnishings enthusiast Jessica was determined to spend her 7th birthday there. So when she discovered Ikea didn’t offer children’s parties, she decided to take matters into her own hands. 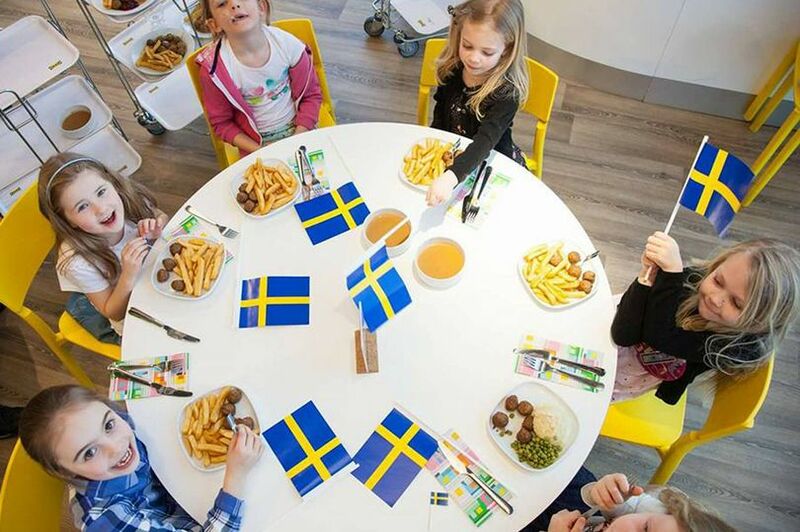 A few weeks later Ikea customer services got back in touch to say they wanted to make an exception for Jessica and give her the party she wanted. The lucky girl and five friends got to spend the big day with the children’s play area all to themselves, classic meatball meals on the house, plus balloons and flags of course. Jessica’s mother Charlotte shared her story on website The Motherload.